Waterjets aren't just for cutting! With a waterjet mounted printer running along side your cutting head you can print part numbers and critical information directly on your material. 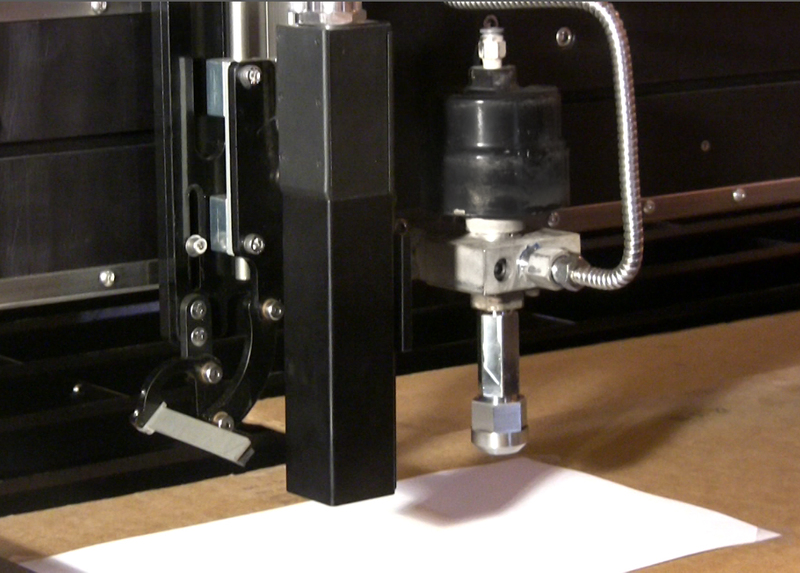 This printer is mounted on the z-carriage along side the waterjet cutting head. 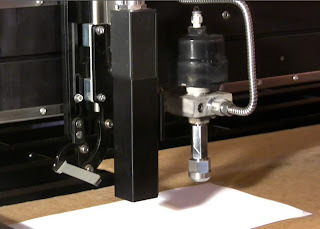 This way you can cut and print in one complete, streamlined process.